You collect 3 points for every £1 you spend on beauty, fragrance, beauty services and beauty electricals both instore and online (you must register your card first though). For the period of September 4th until 17th, there is a bonus offer of £10 in points on sales over £50. Every time you reach 500 points, they will be converted into £5 to spend on anything in the beauty department. There are exclusive deluxe beauty samples available monthly to Beauty Club Card members only. Free delivery with online orders - the code for this will be included in your monthly statement. As a birthday treat, you can avail of a free Benefit Brow Wax and Elizabeth Arden facial within 2 weeks of your birthday! Personally, I like to stockpile my points to use for some of my expensive skincare products as it takes the sting out of the purchase, or else keep them for when the Christmas gift sets arrive in store and treat myself. What I love about shopping in Debenhams is the variety of brands available. They brought Too Faced, Buxom and Kat Von D to our shores and made Make Up For Ever much more accessible too. They also stock luxury brands such as Armani, Chanel, Dior and YSL. 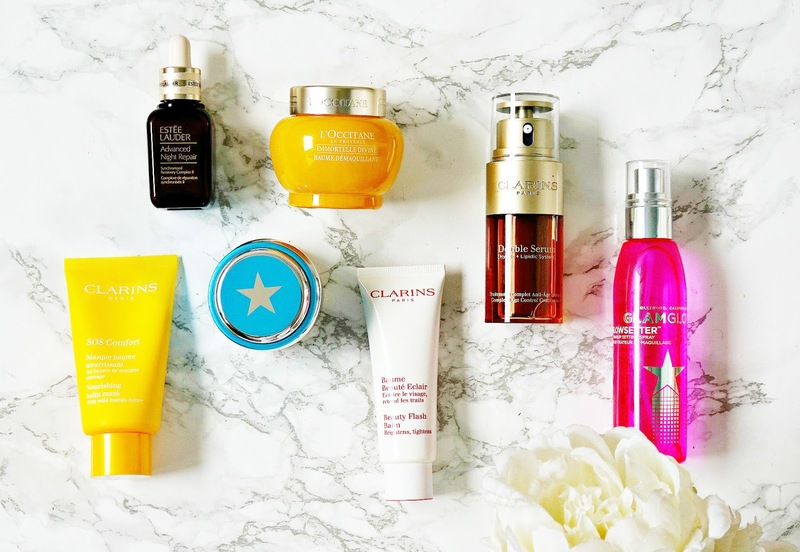 I want to share some of my favourites from the brands stocked in Debenhams with you. Too Faced: I'm a huge Too Faced fan (see brand focus post here) and the palettes are probably my favourite products from the brand but other products that I can highly recommend are Hangover '3-in-1' Replenishing Primer and Setting Spray, which is silicone free, alcohol free and oil free. It can be used to prime the skin or set and refresh makeup - personally, I love using it to prime the skin when I'm using a lightweight base but I also love a light spritz over the new Born This Way Setting Loose Powder. Because I have dry skin, I'm not usually the biggest fan of loose powders but this one contains Hyaluronic Acid, which prevents it from sucking the moisture out of my skin and also from looking cakey. The combination of these two products means that I have a long-lasting, dewy base. Add in the Born This Way concealer and foundation and my skin looks smooth and poreless. I recently purchased one of their Prismatic Highlighters and the formula of these is unlike most other highlighters I own - it's so creamy and buttery that it applies like a liquid highlighter but with the staying power of a powder. Check out my other recommendations from the brand here. 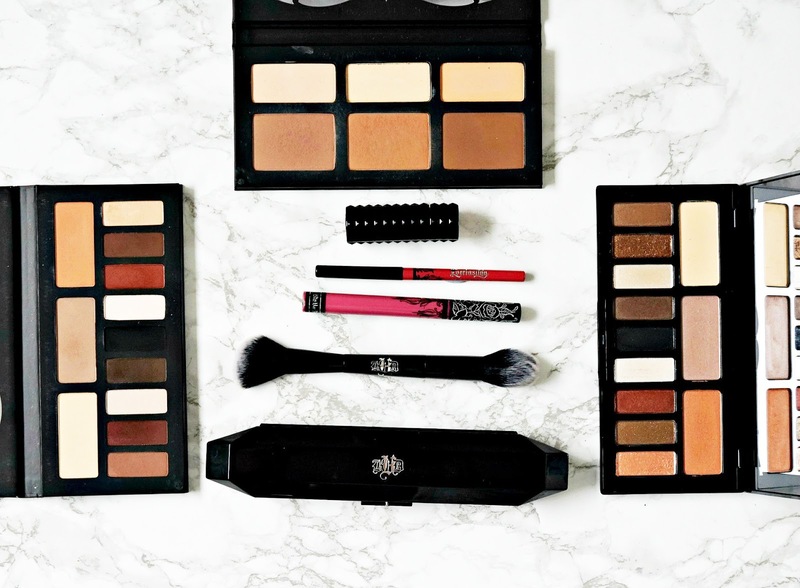 Kat Von D: I absolutely love both the Shade & Light Face and Eye Contour Palettes - the powders are pigmented, easy to blend and long-lasting. Although I'm not the biggest fan of liquid lipsticks, I find that Kat Von D Everlasting Liquid Lipsticks to be some of the best I have tried because they don't dry the lips out and are so pigmented that they last for hours. If you prefer regular lipsticks, you will love the Studded lipsticks because they are so comfortable to wear - creamy with a bit of slip but not enough that it is going to smear all over your face, plus they are very pigmented. 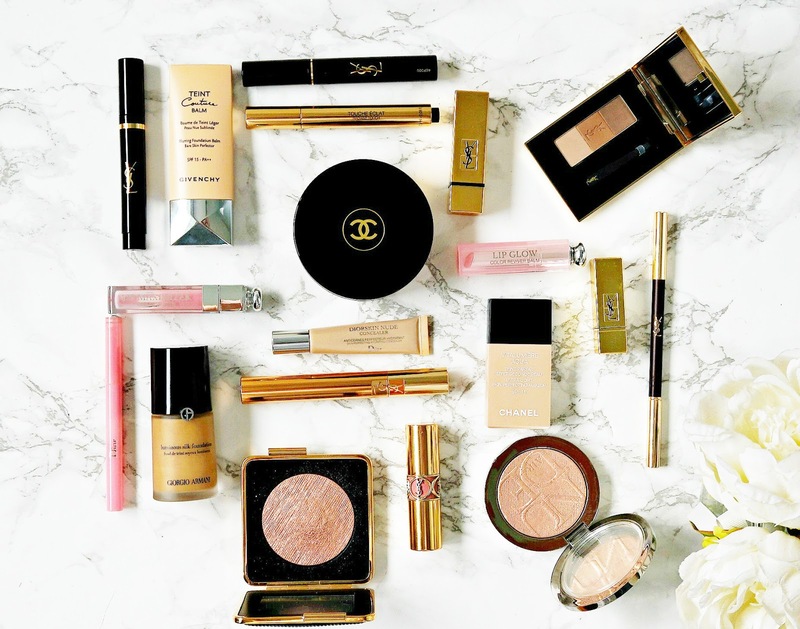 In terms of luxury beauty brands, you cannot beat some Chanel. Vitalumiére Aqua is a really lightweight foundation that looks very "skin like" but it can be built up for more coverage without caking. It gives what I call the "expensive skin" look - fresh, imperceptible to the eye with a natural finish. The packaging alone of Soleil Tan De Chanel makes it worth buying but the product inside is equally as drool worthy! It's a gel bronzer that I particularly love to use during the summer to adjust my foundation to match my skin but it's also perfect for adding some soft definition to the edges of the face. YSL packaging screams luxury! Touche Eclat is a cult beauty product and a staple in my makeup bag for around 17 years now - it's lightweight in texture, which is perfect for the undereye area and it really brightens and highlights the area. Faux Cils is my all time favourite mascara - it adds volume and drama to my lashes without smudging, flaking or crispy lashes. I reviewed their brow wardrobe here and my favourite ever lipstick is a YSL one - creamy, pigmented and comfortable on the lips. Other luxury beauty brands stocked in Debenhams are Armani & Dior. Armani Luminous Silk foundation is another cult classic and staple in my makeup bag. If you want long-lasting medium coverage foundation that doesn't cling to dry skin or break down around the nose/chin, that glides over pores and fine lines and looks luminous without being dewy, then you need to try this foundation. 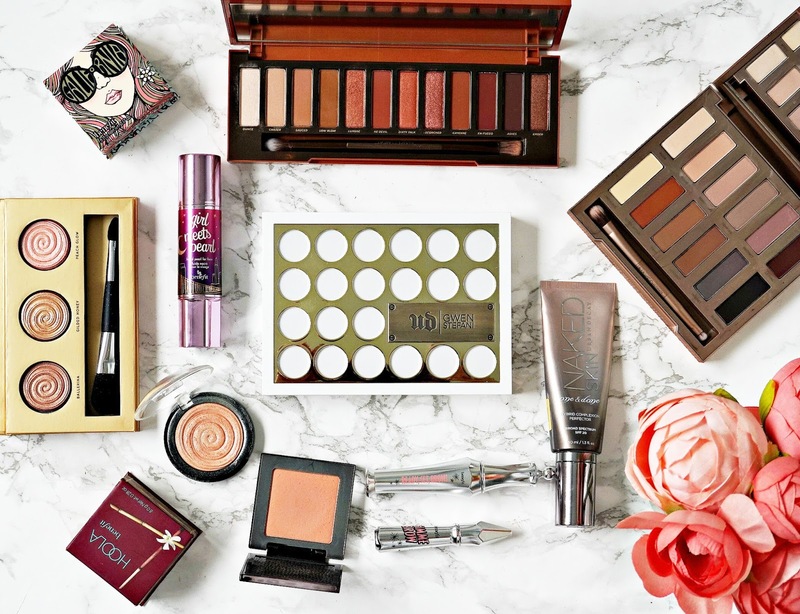 Of course, you can get your Urban Decay Naked fix in Debenhams too and for a huge range of brow products and boxes of blushes and bronzer, you need to check out Benefit. Have you ever seen highlighters as pretty as this Laura Geller trio? Bobbi Brown is also stocked in Debenhams and their Full Coverage Face Brush is guaranteed to make your base look flawless. In terms of skincare, some of my favourite brands that Debenhams stock include Estée Lauder, Clarins, Glamglow and L'Occitane. Estée Lauder Advanced Night Repair is my ultimate skincare hero - it hydrates, repair, strengthens and smooths the skin. I recently described Clarins SOS Comfort Mask as the ultimate nourishing mask for dry skin here, while their Beauty Flash Balm is a product I have repurchased consistently for 17 years - it brightens, soothes and tightens the skin in preparation for foundation or can be used as a mask and their newly reformulated Double Serum will be reviewed on the blog soon. Glamglow Thirstymud is the perfect overnight treatment for those with dry, flaky skin, plus it smells of holidays - what's not to love?! The recently reformulated L'Occitane Immortelle range has recently been updated with twice the amount of Immortelle Essential Oil, which has twice the anti-oxidant power of vitamin E, which prevents free-radical damage so this range is perfect for anyone concerned with ageing. 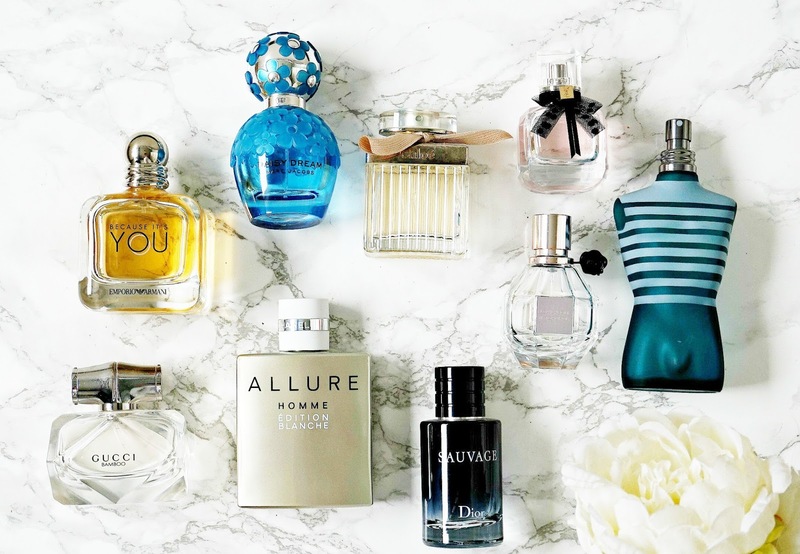 As if all of that isn't enough, Debenhams stock a huge variety of fragrances, including Viktor and Rolf, Armani, Gucci, Marc Jacobs, YSL, Chloe and Dior. 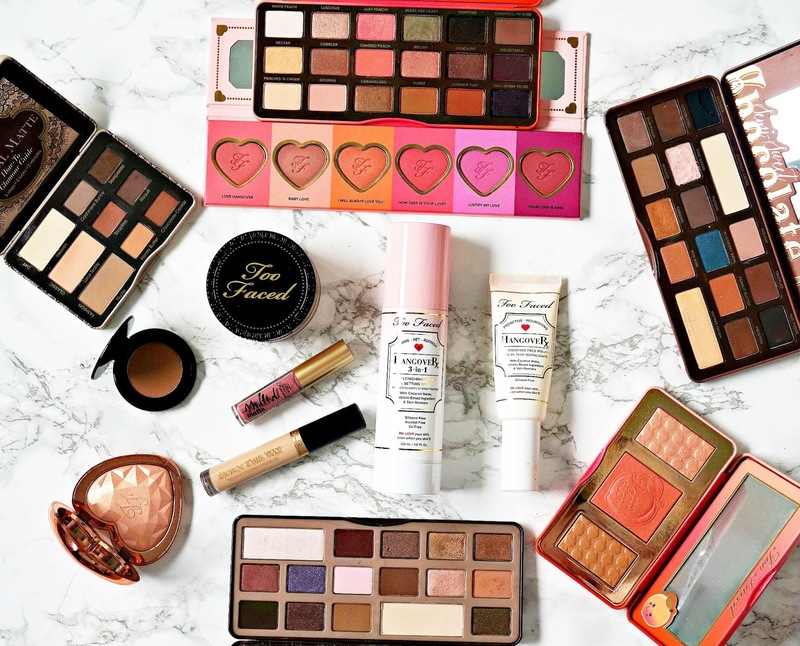 At Christmas, all of these brands offer gift sets so you can earn Beauty Club points whilst shopping for your friends and family, which you can then spend on yourself! 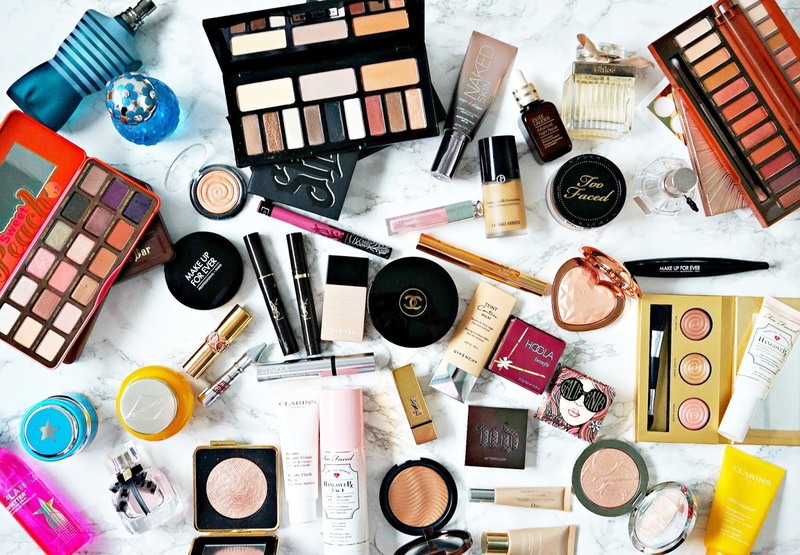 Debenhams is a one-stop shop for all of your beauty needs and with free delivery or next day click and collect, plus exclusive benefits for Beauty Club Card holders, it really should be your first port of call for beauty shopping. Don't forget that if you sign up before September 17th, you will receive a huge £10 worth of points on any order of £50 and over in the Beauty Department so don't miss out! Have you signed up yet? What do you like to spend reward card points on? I'd love to hear! All products are bought by me, unless otherwise stated. This post is not sponsored, however some of the products in this post were bought with a gift card kindly provided by Debenhams but the majority of them are from my own collection and were bought by me. Opinion is always my own.